Owners of houses are used to the funny smell that often comes from their heating systems whenever they switch them on in the fall. However they don’t expect an infrequent smell from the air conditioner, and for good reason. As far as air conditioners don’t have dust to burn off like a furnace does, they shouldn’t have much of an odor when running. When you’re noticing an unusual smell from your air conditioner, it’s probably a sign of a problem. Our technicians want you to know what the smell could mean and how you can address it. There are some common smells you may notice, and the causes behind them. Your air conditioner is making your home smell musty. In this case you have mold or mildew somewhere along the line. This usually happens when the condensation from the system isn’t draining properly and is allowed to build up inside the air conditioner. It boosts mold growth. So when you don’t address the mold quickly, the spores can spread to your ductwork and grow there as well. Try to determine if the smell is worse near the vents if you want to check if this is the problem. If it is, have a professional mold company come and check. You have an electrical issue somewhere in the system if you smell something burning or the smell of melting metal. It’s best to turn the system completely off and call the HVAC technician for emergency repair. Air conditioner shouldn’t cause burning smells, and leaving it running could put you at risk for a fire. Our company HVAC professionals on hand and we can help with this type of issue. When your sewer system has a pipe that ruptures as well as that pipe is near the ductwork or your air conditioner, some of the methane gas can leak into your ventilation system. You need to solve the problem immediately to avoid health hazards. 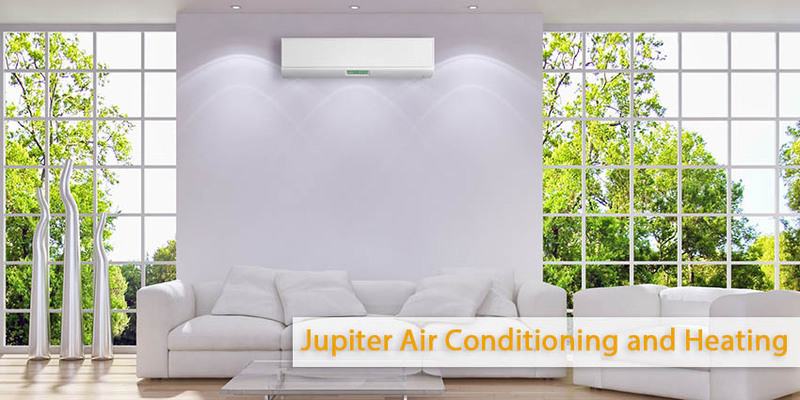 Turn to our specialists at Jupiter Air Conditioning and Heating. There is a rotten smell coming from the air conditioner usually means that there is something rotting in the system. If you can locate the carcass, then dispose of it yourself as long as you use gloves and don’t touch the animal. However remember that one mouse in your home means you have more hiding that you can’t see. This is typically an animal carcass from an infestation that you may not have known about. Contact a pest prevention company at any time for an inspection and service. If you’re noticing one of these smells or another smell that you just can’t identify, you need to turn to Jupiter right away for service. You can get back to enjoying your cool home free from any unwanted odors as our experienced technicians will help you identify and repair the problem. Contact Jupiter today to get started on tracking down and eliminating the smell.